In the two years since the City of Detroit came out of bankruptcy, it has not been uncommon to read in mainstream media and the blogosphere “how close the city of Detroit came to selling its art collection.” Such was never the case and, in his lecture, DIA Director Emeritus, Graham Beal, will discuss the legal, social and political intricacies that drove the negotiations between a shifting set of entities, finally resulting in a creative solution that satisfied most of the moral issues, if not many of the creditors! Graham Beal’s early career included curatorial and director positions at museums such as the Sheffield City Art Galleries, the Walker Art Center in Minneapolis, the Sainsbury Centre for Visual Arts at the University of East Anglia, and the San Francisco Museum of Modern Art. 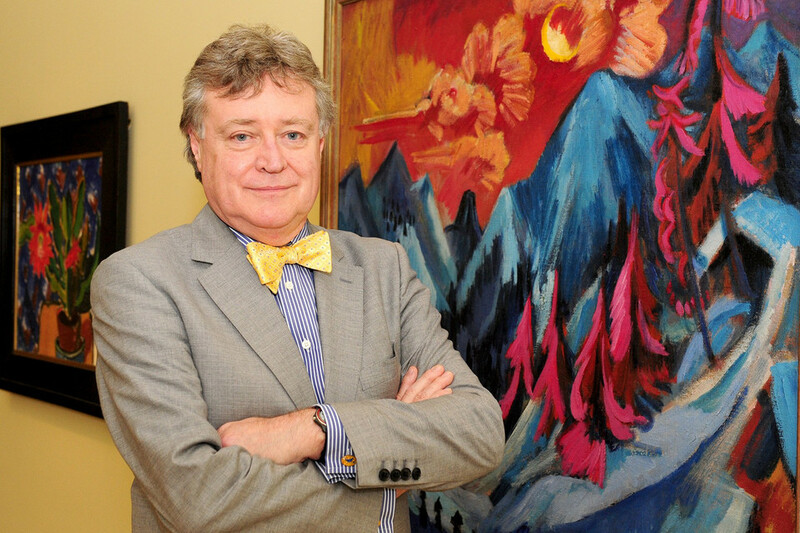 In 1989 he became the Director of the Joslyn Art Museum in Omaha. From 1996 to 1999 he served as the Director of the Los Angeles County Museum of Art. In 1999 he became Director of the Detroit Institute of Arts. Beal’s innovative “populist” reinstallation of the DIA’s great art collection has been internationally influential and was a major factor in securing regional tax support in 2012 for the museum’s annual operating costs. In 2013-14 he was a member of the team that successfully defended the collection against City of Detroit creditors and negotiated the transfer of ownership of the collection from the City to a private non-profit. He retired from the DIA in July 2015 and served as Hannah Visiting Distinguished Professor at Michigan State University for the 2015-16 academic year. His publications include books on the American artist, Jim Dine, on contemporary British sculpture, and on the history of American painting. He is currently writing a new history of the Detroit Institute of Arts. In December 2015 the University of Michigan conferred on him an honorary doctorate in Humane Letters.